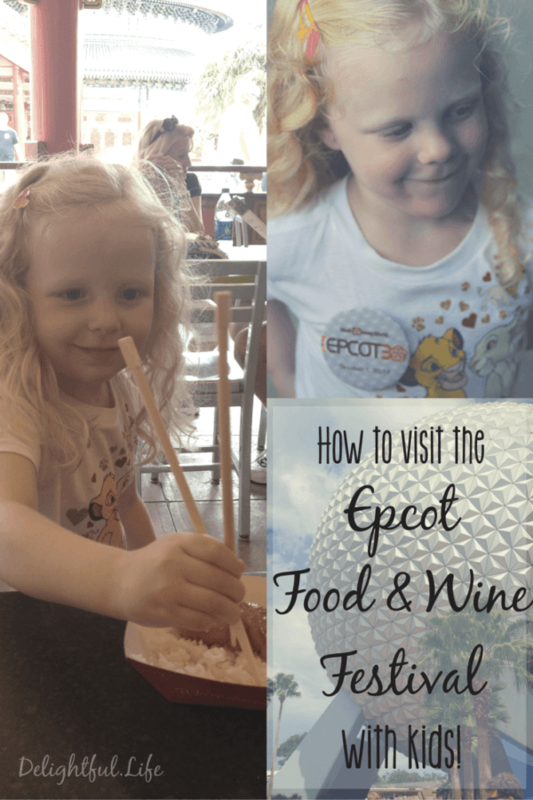 How to visit the Epcot Food & Wine Festival with kids... and all enjoy it! Our calendar has turned to September, which means the 22nd annual Epcot International Food and Wine Festival is underway! Like many others, we’ll be taking an adults-only trip to the festival a bit later this fall. We’ve visited the Food and Wine Festival with our kids many times though; so if you find yourself at Epcot between now and the middle of November on a family vacation, don’t worry. 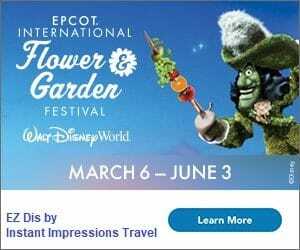 You should absolutely check out the festival while at Walt Disney World with your kids. If you’re headed to the Festival with the whole family in tow, you may be wondering if it will be worth a visit, or if they’ll be totally bored and unwilling to try anything “exotic”. Let me assure you, as you might expect: Walt Disney World has built the Festival in anticipation of visits from guests of all ages. Prior to last year, stamps were awarded in the Marketplace Passport at the register of each booth. Now, each passport comes with stickers representing each country. Of course you that means you don’t technically have to stop at every booth to check it off, but where’s the fun in that?! We found last year that the introduction of stickers versus stamps definitely made the process at the registers more streamlined. Kids of all ages enjoy working through the booths in this way every year. I may know an adult or two that are fans of checklists and “unlocking achievements” that also make it their mission to collect as many stamps/stickers as possible! Not that I’m naming any names. 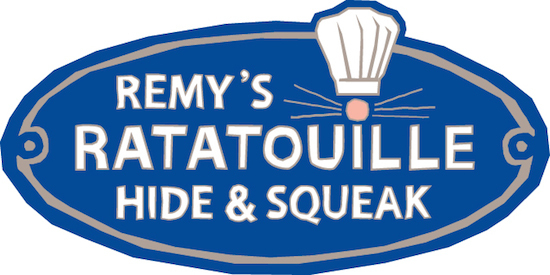 Hide and Squeak maps are available for purchase from several locations within the park. Guests then locate statues of Remy throughout the World Showcase, answering a few questions along the way. When you’re finished, turn it in as instructed for a special prize! Pro tip: the prize is included in the purchase price, and you do not need to complete any of the activities in order to receive it. But since you’re here looking for Food and Wine Festival Activities to do with the kids, I suggest you actually do it. My kids can’t wait to do it again! No, I haven’t lost my mind. Of course the beverage seminars and mixology courses aren’t appropriate for kids, and many kids won’t be interested in watching a lot of the specialty seminars. It’s true, there are a lot of unique offerings at the marketplace booths; it’s a great time to finally try escargot or kimchi. That shouldn’t deter children, though – or picky eaters of any age. Chicken and naan, Belgian Waffles, Cheddar Cheese Soup with a pretzel roll, Peanut Butter and White Chocolate Mousse, and the Liquid Nitro Chocolate Almond Truffle are just a handful of menu items that my kids are looking forward to when they visit later in the year. That said, maybe the event is also the perfect time to help family members and friend expand their horizons! There are often special symbols on the booth menus that point out which items might be the “easiest” for apprehensive eaters to try. The ever-popular Kidcot Stations are still available during the event. If you’ve visited Epcot before, you may already know about the Kidcot program. In short, each pavilion has a table attended by a representative from each nation. Children (and adults!) can color a puppet, learn how to write their name in another language, and talk to cast members about their home and cultures. It’s one of our favorite things to do in Epcot, and it’s educational, too! 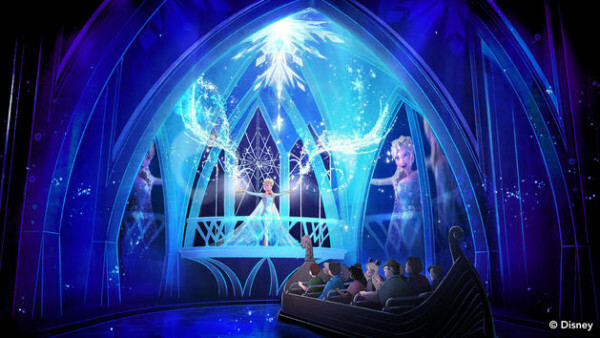 The much-anticipated Frozen attraction opened last year in the Norway pavilion, and it’s truly delightful. You’ll probably want to grab a fastpass for that one in order to be as efficient as possible, but the reality is there will be plenty of opportunities for rides, performances, characters, and other attractions as you walk through World Showcase. It’s no secret that we are all big fans of Epcot, no matter what time of year we visit. 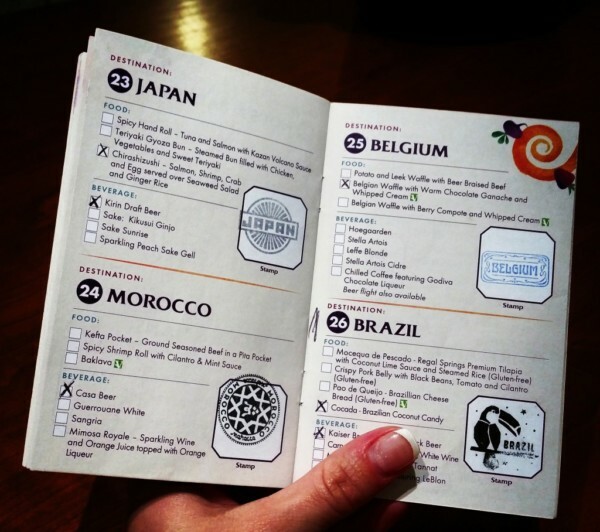 I hope that if your trip falls during the Food & Wine Festival, you won’t shy away from it. There are plenty of wonderful (and yummy!) memories to be made as a family. Check out last year’s must-do activities for the Epcot Food & Wine Festival, for some ideas of what to expect during your visit! 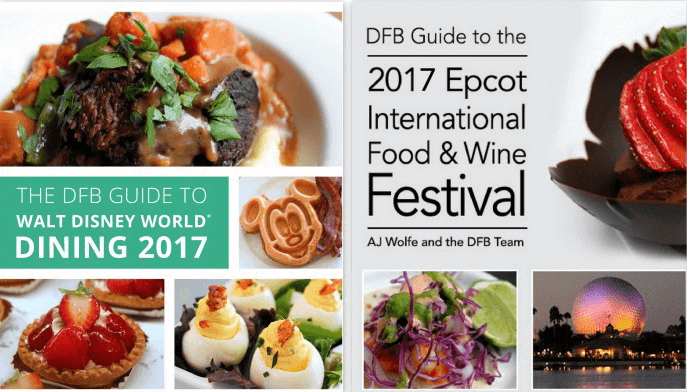 If you want to get a head start on your planning, be sure to head over to the Disney Food Blog to check out the incredible dining guides they offer… including an ebook just for the 2017 Festival and year-round snack choices at Epcot! This is great! I think kids can have a great time at the Food and Wine Festival, too! This year was my first time visiting during Food & Wine. It was so much fun! I loved looking for Remy at each pavilion. I was only able to try a few of the food booths, but it was fun putting my stickers in the passport. And the food was so yummy! If you must visit Epcot with children during the food & wine festival, absolutely do NOT go on a weekend! We made that mistake and ended up leaving after only an hour. I was shocked at the t-shirts everyone was wearing that Disney would even allow! It was upsetting to my child to see things like the fairy godmother saying “Bibbity Bobbity Booze” or Belle and the Beast with the caption “Beauty and the Booze” among a host of other non-Disney Disney booze-related T-shirts. What a great family place that was! Then all the drunks there. Wow. One guy was walking with cup in hand, barely standing and spilling his drink everywhere. It’s pretty sad when a 9 year asks you, “Why do they keep selling them alcohol if they’re drunk?” After that, we left. Luckily, I had the Park Hopper option so we could hop to another park without worrying about having just wasted one day of our multi-day ticket.